Ecologist Chris Morgan is no stranger to adventure. Over the last 20+ years he has worked as a wildlife researcher, wilderness guide, and environmental educator on every continent where bears exist. From icy polar bear country at 81° North to tropical Andean bear forests on the equator, Chris has sought adventure among the focus animals of his life – the bears of the world. Carnivore work has also taken him to the Canadian Rocky Mountains, Scotland, the Pakistani Himalayas, northern Spain, Turkey, Borneo, Siberia, and Alaska – destinations where his infectious enthusiasm for wild places and people has rubbed off on others. Chris regularly hosts TV productions for PBS, National Geographic Television, BBC, Discovery Channel, and has appeared on the Late Show with David Letterman. He is a familiar hist and voice of the world-renowned television series PBS NATURE having narrated twenty films since 2011 on topics ranging from lions to pelicans; the Australian outback to the Arctic tundra. 2015 saw Chris host 4 episodes of PBS Nature – ‘The Last Orangutan Eden‘ (produced by his Emmy-winning Wildlife Media partner Joe Pontecorvo), and the three part series ‘Animal Homes‘ (produced by Emmy-winning producer Ann Prum) which saw Chris travel the globe in search of the most fascinating animal architecture. Chris won ‘Best Host Gold World Medal’ from the 2016 New York Festivals International TV & Film Awards. In 2013, Chris teamed up with the creators and cameramen from Frozen Planet and Planet Earth in ‘Great Bear Stakeout’, a two-hour special co-produced by BBC and Discovery. Morgan is host, contributor, and bear guide in this unprecedented and visually stunning film about Alaskan grizzly bears. Chris hosts and narrates the film ‘Siberian Tiger Quest’ (Emmy nominated), which premiered as PBS Nature’s 2012/2013 season-opener. In this film, Chris embarks on a challenge to fulfill a lifelong dream – to find and film a Siberian tiger living wild and free in the forests of the far eastern Russian frontier. He was awarded “Best Host” by the International Wildlife Film Festival for his work. Chris received this same “Best Host” award a year earlier for his role in ‘Bears of the Last Frontier’, a PBS NATURE special he helped create. Chris is the featured character, host and narrator in this major three-hour mini-series that follows his 3,000-mile journey across Alaska by motorcycle in search of black, grizzly, and polar bears. Chris authored an accompanying book of the same title – a large format publication that showcases the experience, the bears, and behind-the-scenes insight and stunning photos from the production of the film. Chris hosted ‘Grizzlies of Alaska‘ on BBC Two’s flagship wildlife series ‘Natural World’, and considered it a huge honor (Chris’s passion for wildlife was ignited when he was about 3 years old, in part part by Sir David Attenborough who has hosted and narrated countless episodes of the Natural World). 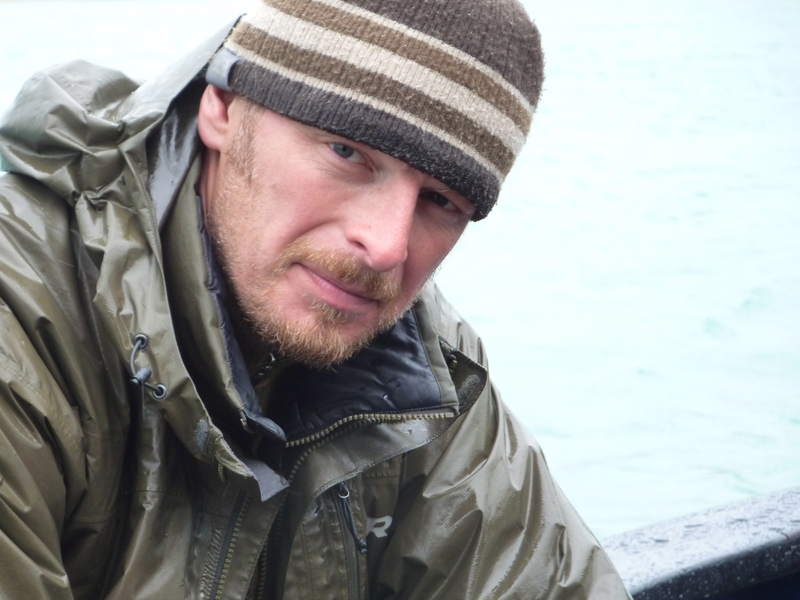 Chris is executive director and co-founder of Wildlife Media – a non-profit conservation organization that oversees ‘BEARTREK’, a global campaign and independent feature documentary for bear conservation. This epic, big-screen film about a global natural history adventure brings untold stories of bears and colorful cultures in Borneo, Peru, Alaska, and the Arctic. In addition to documenting Chris’s motorcycle conservation quest across three continents, ‘BEARTREK’ is a giant experiment that brings a new approach to raising awareness and funding for conservation through a high-end feature-length film, and a campaign (so far Wildlife Media has donated over $200,000 in kind and in-cash), changing hearts and minds along the way. BEARTREK proudly premiered at the Santa Barbara International Film Festival in February 2018, and is now available on Amazon Prime. In 2017 Chris co-founded UPROAR, a media company that harnesses the power of social media to share short, fiercely optimistic videos about wildlife, and gives audiences real ways to get involved and support conservation in wild places around the world. Chris owns an ecology and environmental education organization in Bellingham, Washington State and is the co-founder of the acclaimed Grizzly Bear Outreach Project (GBOP). GBOP, now called Western Wildlife Outreach, has been praised as a model for effective education outreach in the North Cascades and Selkirk mountains and has taken great steps to engage rural communities in grizzly and black bear information dissemination since 2002. The approach has recently been expanded to include cougar and wolf education needs. Chris is an accomplished and engaging public speaker and presenter having given hundreds of talks around the world – from the corporate keynote setting to the classroom. He spent several years as a frequent lecturer at Western Washington University’s Huxley College of Environmental Science in Bellingham. He has a Higher National Diploma in Conservation Management (Farnborough, UK), a B.S. in Applied Ecology (East London, UK) and an M.S. in Advanced Ecology (Durham, UK.) In 2003 the Environmental Education Association of Washington honored Chris as Outstanding Environmental Educator of the year. In 2008 his contributions to grizzly bear conservation in the USA were honored with an award from the Interagency Grizzly Bear Committee, a government panel responsible for recovery of the great bear. Chris guides expeditions to many locations around the world to introduce people firsthand to the wonders of wild places – often among grizzly bears and polar bears. He knows that conservation depends on people and if people don’t see the connection between their own well-being and wildlife, then nothing will change. You will often hear Chris say, “What’s good for bears is good for people.” Chris has an acute sense of the power of media to bring hearts, minds, and resources towards conservation. As one of the most gregarious, personable, and good hearted larger-than-life scientists you’ll ever meet, the response to his on-camera appearances has brought him incredible opportunities to promote the value of conservation for us all. Chris spends much of his work, and playtime in the North Cascades mountains one hour from his home. Despite his varied activities within the realm of wildlife conservation, Chris says that he is never happier than when immersed in bear country – “the real world” as he calls it. Chris’ 2 minute intro film. Chris on Wikipedia (includes almost upto-date film list :).